When darkness falls, a heroine will rise. Eritara’s visions never lie. 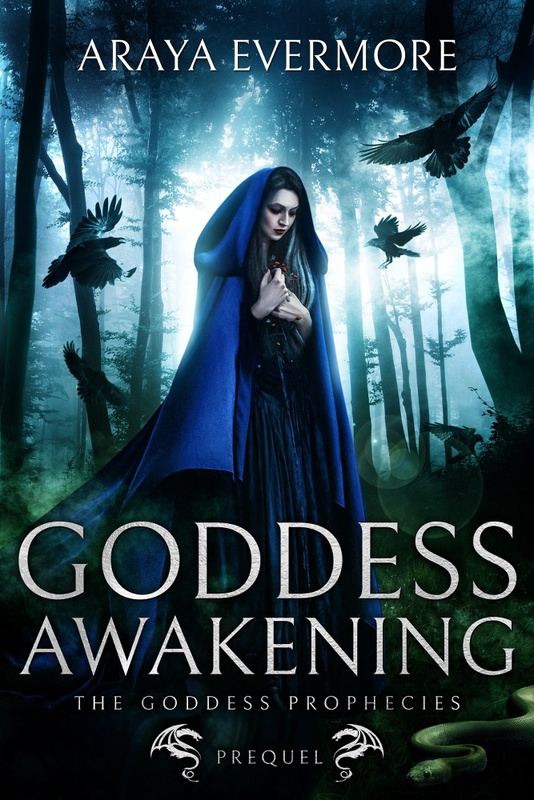 When an ancient goddess warns her in a powerful visitation, she realises the terrible premonition will soon come to pass. But the price to save her unborn child and all those she loves is high. If they are to survive, she must betray them and flee the sanctity of her homeland forever, for the Immortal Lord will stop at nothing until he has destroyed utterly the preordained child of prophecy. When strangers knock on Fraya’s door in the middle of a stormy night, her life is changed forever. The man is a bard, a warrior, and a follower of the Old Ways. The woman is a seer, heavily pregnant with a child so blessed by the goddess, they are forced to run for their lives from the immortals. As they tell her things about herself that they cannot know, Fraya fears the divine hand moving in her life. When the enemy attacks, she knows she too must flee, for the life of the child and the fate of the world is now in her hands. An epic fantasy adventure series that draws on all the appeal of Tolkien’s deep and soulful characters, Robert Jordan’s sweeping worlds, and the ancient romance of Arthurian mythology. This is a saga full of spirit, determination and resilience.